In the past, we have covered at length in our catalogue the benefits of turmeric for various health conditions, however we haven’t mentioned how useful it is in helping the body to repair from various trauma such as strenuous exercise, surgery, wounds, skin conditions, broken bones, osteoporosis and joint or muscle damage. 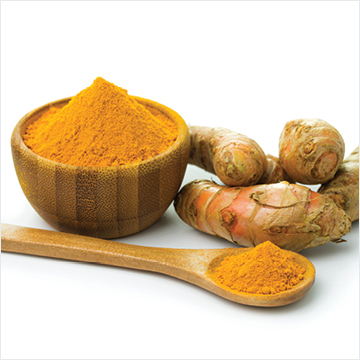 Turmeric contains antioxidants and has anti-inflammatory components that provide a natural glow to our skin. It can also support wound healing by reducing inflammation and oxidation in the wound, helping it to heal much faster. Turmeric can also be made into a paste and used topically on a range of skin conditions including acne, scarring, psoriasis and eczema, however do be careful of staining! Studies show that curcumin rich turmeric has a protective effect against osteoporosis, so is particularly beneficial to those that suffer from frequent fractures, the elderly and women that have already been through menopause. It can improve bone density dramatically in only six months, so it’s never too late to try it! Because of turmeric’s anti-inflammatory properties, it is very helpful in reducing the pain and stiffness from both osteoarthritis and rheumatoid arthritis. It also alters the immune system response, meaning it can reduce the nasty effects of rheumatoid arthritis and other autoimmune diseases. Because turmeric is a natural analgesic with anti-inflammatory properties, it has great benefit for muscles to both reduce pain and help with recovery following exercise or strain. It also acts as a natural muscle relaxant and stimulates blood flow, encouraging rapid healing to damaged muscles. Due to its antispasmodic action it can also help to prevent painful muscle cramps. Delayed onset muscle soreness, also known as DOMS, is the pain or stiffness felt for 24-72 hours following strenuous exercise. Taking a turmeric supplement can boost muscle recovery, meaning you can get back to exercise much more quickly. For best results, turmeric high in curcuminoids (the active constituent) should be consumed with black pepper (piper nigrum) and fats. Both of these co-factors ensure maximum absorption. If you don’t want to swallow yet another capsule, try adding your turmeric to yoghurt, a smoothie with avocado or coconut milk, scrambled eggs or mix it into a stew or curry. You can even make a delicious ‘golden milk’ with warmed milk of your choice (dairy, coconut, almond, rice etc) mixed with turmeric, black pepper, ginger, cinnamon and honey to taste. Nadia McMorran - BNatMed. 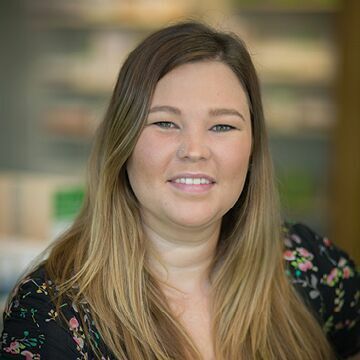 Registered Naturopath and Medical Herbalist.